Have you ever gotten tired of the same old songs you keep inside your smartphone? Do you want to listen to something exciting and discover new songs and podcasts? 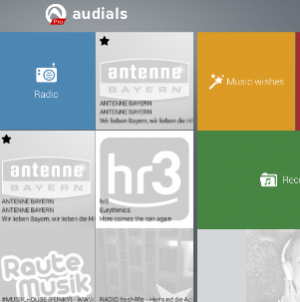 If so, Audials is the application you want to install. You shouldn’t look further If you want to listen to something new on the radio, record the songs that are playing, discover new podcasts or even set your favorite station as your alarm clock. Audials is definitely the most beautiful and stylish player app I’ve ever used. It even gives you the option to choose between a black and a white design. The player has thousands of radio stations across the planet for you to choose from. 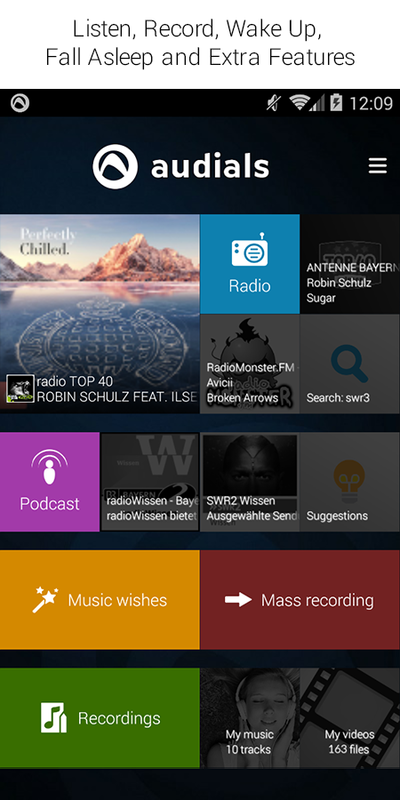 You can also search radio stations based on its genre, name or location. You could be listening to a Japanese song you discovered through the Anime Soundtrack session or you could be listening to one of the Rio de Janeiro stations that are playing a Brazilian song you’ve never heard before. The possibilities are infinite and they are all out there for you to choose from. You can search for your favorite artists – be it Mozart, Iron Maiden or Madonna – and check out the radio stations that are playing them or you could go to the Top Artists session and choose the most played artist from the list. Before choosing the station you are going to listen, you’re able to check out what songs they are currently playing and once you find the perfect radio station you can even set it as an alarm clock so you can wake up listening to your favorite songs or the latest news of the day. Do you enjoy listening to Podcasts during your free time or while you are on your way to your job? Audials has different Podcasts that you can choose to listen, from English-speaking podcasts about Business to French podcasts about TV and Film. Do you know the feeling of listening to a new song on the radio and never finding it again after you forget the name of the song? 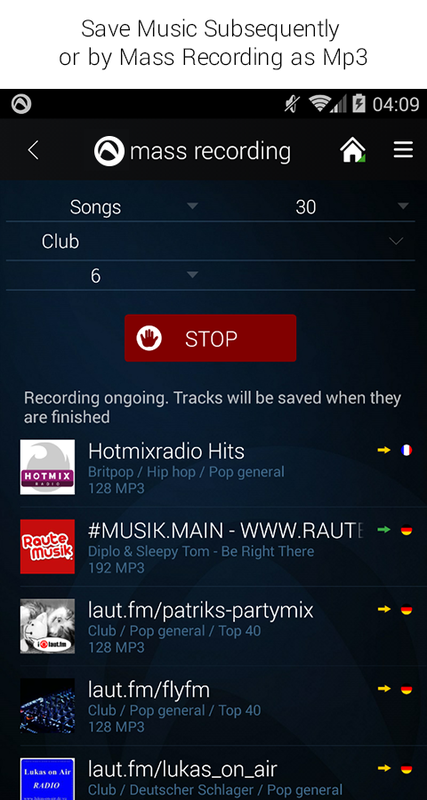 Now you’re able to record the radio stations and save it to your phone. You can also schedule recordings and choose to record only the tracks that you want, while being able to equalize the sound and add radio stations manually. The pros and cons of Audials are listed bellow. Audials is a great application and offers lots of options for its users. 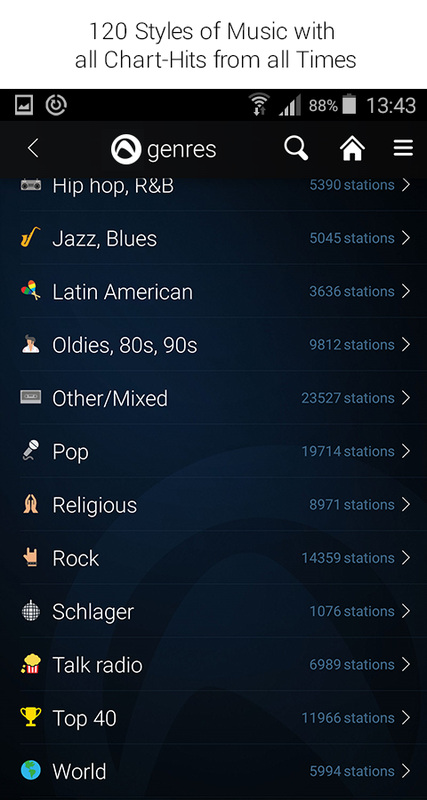 The app is great for people who like to listen to radio and podcasts, for people who want to record their favorite radio stations and for people who want to set their favorite station as an alarm clock. The application shines among other players and is available on Google Play Store and Apple App Store.